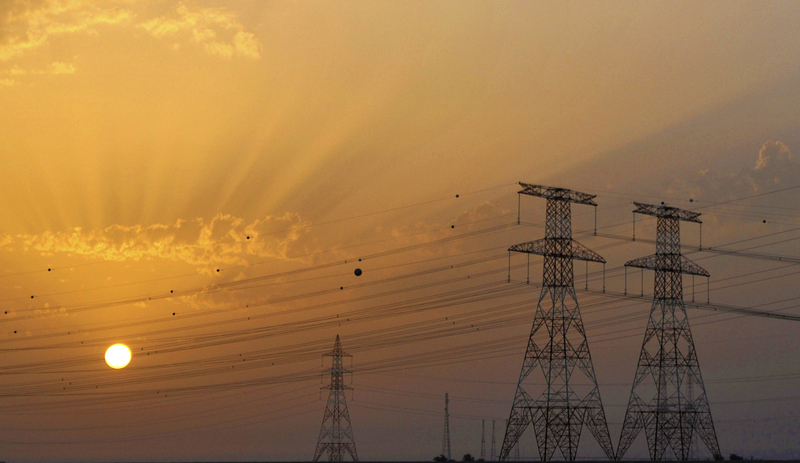 Africa Check: Does South Africa face an electricity grid collapse? Will South Africa’s electricity grid collapse, plunging the country into weeks of darkness? Experts say it is possible, but unlikely. Researched by Kate Wilkinson for AFRICA CHECK. South Africa is facing its worst power crisis since 2008. As the country’s struggling power utility, Eskom, battles to cope with demand for electricity, millions face the prospect of years of “load-shedding”. Eskom’s CEO Tshediso Matona has said that these planed outages are here to stay. “Over the years, in an environment of strained capacity, we have delayed critical maintenance because we wanted to keep the lights on,” he told reporters. On social networks, rumours have begun circulating that the electricity grid will collapse, plunging the country into weeks of darkness. In this scenario there is no schedule, only waiting to see if – or when – the power comes back on. Would a grid collapse plunge South Africa in darkness for weeks? And is it something South Africans need to worry about? What is a grid collapse? Thava Govender, Eskom’s group executive, touched on the possibility of a blackout at a recent media briefing. “A blackout is where…you lose all power in one province and the whole grid collapses. So, you basically blackout Gauteng or Mpumalanga [provinces]. A national blackout is when you don’t supply anything in the country. There’s no power at all,” he said. What causes a grid collapse? Khulu Phasiwe, a spokesman for Eskom, told Africa Check that if a grid collapse were to occur it would be caused by a combination of factors. “As you know we have had issues around coal and issues around diesel…For [a grid collapse] to happen it would be a combination of all sorts of things including the failure of our systems,” he said. Mike Rycroft, an energy analyst and features editor of Energize magazine, explained that a “grid collapse would result from an overload on the whole grid or any section of the grid”. Can’t SA just turn the power back on? Unfortunately it’s not that easy. Phasiwe compared the situation to having a cell phone with a dead battery. If you want to turn it back on you first have to find another power source to charge it. “With a power system, especially a constrained system like ours, for you to even start bringing it back you need electricity to run your own power stations before you can put power out,” said Phasiwe. Rycroft said that a significant amount of energy is required to start-up a power station – what is known as a “black start”. How long would the country be in darkness? Claims about how long South Africa would be in the dark vary. Eskom’s estimates have ranged from one week to weeks. Other estimates have suggested that South Africa would experience rolling blackouts. Eskom’s estimates are based on blackouts that have occurred in other countries, says Phasiwe: “Fortunately [a blackout] has never happened to us. In other places where it has happened the maximum time it took was three weeks”. “If there ever was a complete grid collapse, it would indeed take days if not longer to restore the grid,” said Kenny. Rycoft thought that estimates of “more than a week” were realistic although he didn’t think that the examples of blackouts in other countries could be used as a benchmark. Can SA rely on its neighbours for help? When grid collapses have occurred in other countries they have called on their neighbours for temporary assistance. But South Africa is a “power island” and imports very little power, according to Rycroft. We therefore would not be able to rely on neighbouring countries to assist us. A 2014 Eskom report shows that the utility imports electricity from Namibia, Lesotho, and Mozambique. It sells electricity to Lesotho, Namibia, Botswana, Zimbabwe, Mozambique, Swaziland and Zambia. Phasiwe said that these countries would not be able to assist us in the event of a blackout. For South Africans currently dealing with load shedding, the prospect of a blackout lasting weeks is frightening. But it seems that a total grid collapse is unlikely at this stage. If there is a grid collapse in South Africa it is possible that the country will be in the dark for anything ranging from a few days to weeks. Restarting the power stations will take considerable time and effort. However, it seems unlikely for now.